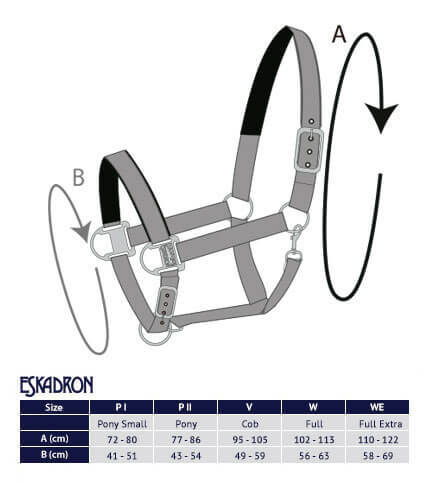 Impressive headcollar from the latest Eskadron Heritage collection. It is made of a durable material. 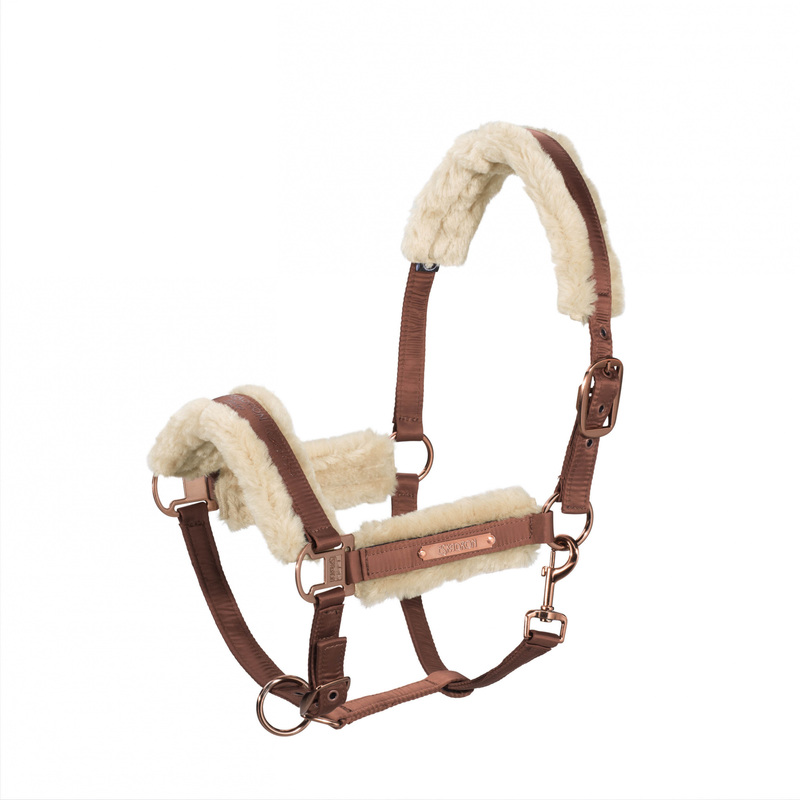 This headcollar is lined with fur on the noseband, occiput and cheek straps, which provides comfort and prevents chafing. It can be adjusted in three points and has a carabiner. Its fitting is in a fashionable rose gold color. 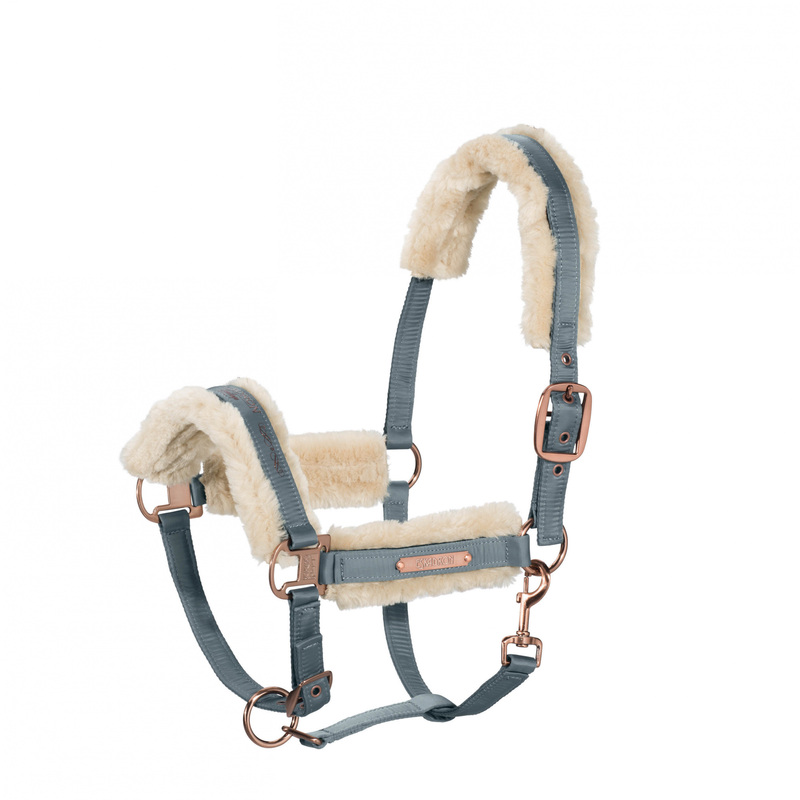 This headcollar is decorated with an Eskadron inscription on the noseband and a metal plate.